Arsene Wenger has confirmed Arsenal will be without the services of star midfielder Jack Wilshere for the Premier League match against Burnely. The Gunners host the league’s new comers in the weekend tie at the Emirates. After the clash against Bunrley, the north London club face Anderlecht in the Champions League clash next midweek at home. Arsenal manager believes the European fixture will be too early for Wilshere, meaning the England international will miss the Emirates outfit’s upcoming two fixtures. “With the long-term injuries nobody is back. We have a slight problem with Wilshere. Will he be available [on Saturday] or not? I will see today. Gibbs as well has a test, but I am quite positive about him. 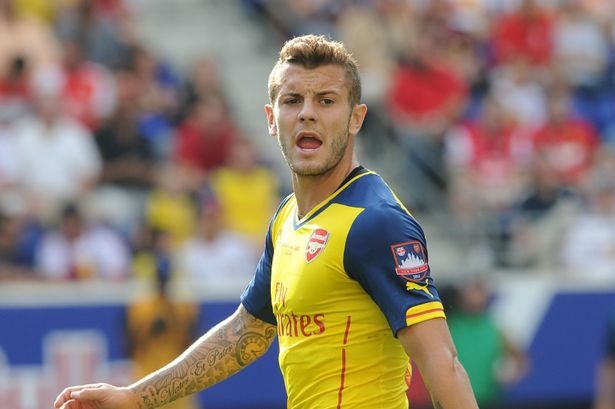 About Wilshere I don’t think he will be available,” Wenger said in his pre-match press conference. Meanwhile, Wenger has also confirmed that defender Kieran Gibbs is doubtful for the weekend clash against Burnley with a hip problem. “There are a few uncertainties, like Kieran Gibbs. But we’ll know more tomorrow. Apart from that everyone should be available. Wilshere is back from suspension. We have no other injuries and no one else coming back into the squad,” the Gunners’ boss told the club’s official website. With Gibbs doubtful for the weekend clash, Wenger could deploy Nacho Monreal in the left-back position, while he has several options to fill in the void left by Wilshere’s knee injury. Star midfielder Aaron Ramsey could start on Saturday against Burnley.